Oakland doesn’t have the money to put on a fireworks show this year. This isn’t the first time, and if we’re letting go of cops, we probably shouldn’t be spending money on fireworks. But that doesn’t mean the city will be completely devoid of Independence Day spirit this weekend. 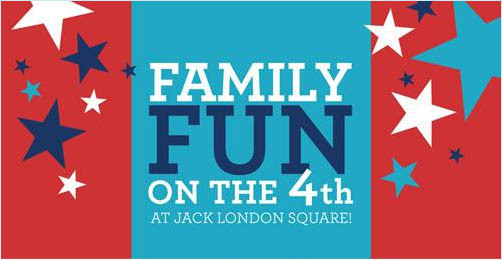 Jack London Square is hosting a party from 12pm to 4pm with blues, plenty of good food, and lots of things to entertain the kids. Think roaming magicians, jugglers, a jump house, and a petting zoo. Perhaps not shooting smoke emitting rockets into the air is a good thing. A little Blues, food and bouncey house sounds a lot better for peoples nerves and the environment. Right on, Oakland.